About the author: Keith Boss stuttered for 68 years. He began communicating eight years ago (2006). He has been a Trustee on the Board of the British Stammering Association, and became a Director on the Board of the International Stuttering Association (ISA). He was given the position of Chair of Outreach of the ISA. 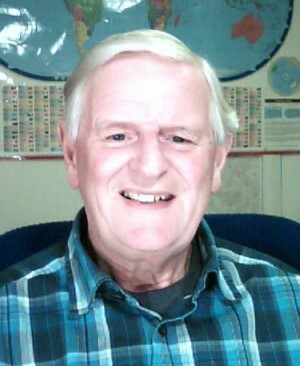 Keith is passionate about helping people who stutter (PWS) around the world and youngsters who have broken laws and who have speech language communication needs. He has been Vice Chair of the ISA and is currently Chair of the ISA. Keith is exploring all types of therapy aimed at better communication for PWS. There are two significant parts to our minds. Our conscious mind and subconscious mind. THE ONE THING WE HAVE COMPLETE CONTROL OVER IS WHAT WE THINK ABOUT. To a considerable extent Hill is correct in this, but, and this is where the second statement often fails, we only control what we think about if we are aware that we can, and if we know that there is a need to do so. The value of witnessing (watching yourself with curiosity). With our conscious mind we have a thought. Once we begin thinking of something then we focus on it, and once we start focusing on something that impacts and influences our lives. In order to think and focus on it we usually visualise a still image or a little video of the subject of our thought. Our subconscious mind sees the still image or little video of the subject of our conscious thought and tries as hard as possible to make that happen. The subconscious mind only sees the subject of our thought, not any qualifying parts of the thought. If with our conscious minds we think that we do not want to stutter, in order to process this thought, we visualise stuttering. Our subconscious mind says okay, I can do stuttering. I will do everything I can to make this happen. Similarly, whenever we think about any negative thought, on the lines of “I don’t want something to happen”, we visualise what it is we do not want, and our subconscious minds try to make that happen. If we worry about something, this is usually because we do not want it to happen, and hey presto we visualise what it is we do not want, and our subconscious mind tries to make it happen. When it happens we may think we have not worried enough, so we must worry more, so it happens again. This can be a vicious cycle. You wake up and are thinking through the plans for today. Suddenly your scanning ahead produces a cold feeling and you begin to tense up. The family is going to McDonald’s and you will be expected to order the food. You never want the children to see and hear you stutter. You have started the ‘fight / flight’ scenario. You begin visualising McDonald’s and waiting in a queue with the children and your partner saying I want, I want …. or worse, I do not know what to have, please help me…. Slowly the queue gets shorter until it is your turn. HEEEEELLLLLLP Nightmare…………………. You start the scanning again. You quickly think of avoidances. The car has a flat tyre, so no trip out. You have a frog in your throat, so your partner has to order. Nooo.. perfect solution. You will need the toilet. It has worked many times before. This flight proposal runs through your mind many times until you arrive at McDonald’s. Depending on various things, this may take up a lot of your thoughts during the morning. The moment arrives. You have driven there; got out of the car; you all walk in and then your youngest slips over and hits their head. Your partner is nearest and picks up and cuddles the child. HELP. CATASTROPHE. You cannot use the toilet excuse. OK. You square up your shoulders and think. I can do this. I will not stutter, I will use the picture numbers I will not stutter on the numbers. So you start off with the numbers and then the kind, stupid, stupid assistant interrupts and asks ‘with or without xyz’ and ‘What about our deals?’ You are up the creek without a paddle. You know you block on the ‘w’ of with or without….. You are thinking ….I do not want to stutter. I do not want to stutter…. Move on a few minutes. Eventually you are eating at the table. Your children are happy and excited, your partner is chatting to you about the next part of the day. Everyone else in McDonald’s is going about their day. Only you are still focussing on your stuttering experience. During the experience you could say that the two parts of your minds were at war with each other, wanting the opposite things and only you knew about this war. So, how can you change the fear of being heard stuttering (“I do not want to stutter”) into a positive thought? Communication is something we all do but I believe people who stutter may not have practiced it all the time they are in avoidance and try to hide their stutter. 55% of communication is body language, 38% is voice tone and volume and only 7% is the words we speak. You have concentrated on the 7% for a long time. The 93% is more important (relaxed eye contact; smile of confidence; volume, not a whisper; etc). Study the body language of others. Think and observe what they do right. A positive way ahead is to think and focus on better communication, concentrating on the 93%. In your conscious mind you visualise yourself speaking with a relaxed smile, with people listening and enjoying and laughing at what you are saying. Your subconscious sees this visualisation and says “OK I can do that. I will help in any possible way.” Now both parts of your minds are in harmony and wanting to achieve the same things. The pressure is off the words you speak and the concentration is on all the other aspects of communication. An experiment was done to test the value of our thoughts. A group of people were selected to throw a basketball into a basketball hoop. The group was split into three. Their levels of skill were measured right at the beginning. One third went and practiced throwing the ball for 30 mins into the hoop every day for a week. One third spent 30 mins every day in a quiet atmosphere thinking about throwing the ball into the hoop and the remaining third did nothing during that week. After one week, the level of skill was measured again. As you would expect, in the last group there was no change, but both the first and second group improved by a similar amount. In this one example the subconscious could not differentiate reality from conscious focused thought. When you are with your therapist you will learn about different ways to reduce your stutter. Select one or two of these tools which you would be comfortable using at home or in public. If you have not found one, persevere. Ask your Speech and Language Pathologist and ask at self-help group meetings about different speaking techniques. You can use this tool, or tools, combined with your thinking ‘better communication’ to help you to build up many good memories of communication. Replay these in your mind again and again to slowly replace the memories of stuttering. Reduce the use of these tools as your experience grows. Now when you wake up in the morning, scan the day ahead and picture a planned visit to McDonald’s. There is no build up of fear while you are thinking of better communication and visualising memories of good communication. Instead there will be anticipation of the eating experience where your family and you have so much fun. Your two minds are in tune with each other. A happy day ahead. Pre-2006 I was in what I call the stuttering phase of my life. Stuttering was a big part of my life. I was big on avoidance, in all its various forms, because I wanted to hide my stutter as much as possible. I was big on “I cannot”, because of what other people told me. I did make exceptions, when I was thinking about family members who needed my help. However when my family was not involved and it was just myself I thought about my stuttering most of the time, and blamed my stutter for every poor outcome in my life. In social activities I had very low self-esteem and self-worth, so I was constantly thinking about not talking and not engaging with other people in any kind of conversations. So I did not practice communicating. By this, I mean I did not practice non-verbal body language which is a significant part of communicating, and I did not practice vocal delivery. I had many negative memories and built up social anxiety and lack of self-worth. I scanned ahead for speaking situations and rehearsed my words over and over, to swap them if possible, if I had no choice and had to speak. Because of information that other people gave me, which I accepted without question, I knew my stutter limited what I could do in life. Nothing alerted me to the fact that I was not alone, and nothing alerted me to the fact that I could do anything if I chose to. I lived and remained a subset of my full potential for 68 years. I consciously chose the life of avoidance, building comfort zone walls and roof around me. I did not know any better. But having said that, I had a happy married life, my wife and I have two beautiful children, both of whom are married and have two children each themselves. So even pre-2006, I did some things right and had a rewarding life. I had to avoid avoidance. I was given early retirement in 1991, without any choice. This meant that I had time to really think about those two important things. Around 2007, I began the process of technical meditation which has completely transformed my life, and I completed online training about how our minds work. This was where I first heard about WITNESSING. Witnessing is standing back and watching with curiosity. Another time I heard about witnessing was in a talk by the IFA president David Shapiro where he was describing some of the things he asked his clients to do. So with a particular tool to help me with the vocal content and better breathing, plus thinking about body language and vocal tone, I began to build good memories of my communication skills and concentrated on what worked well. I joined a local Toastmasters International club, where I learned to improve my non-verbal body language and vocal tone. Here we received both constructive criticism and praise every time we spoke. Now I began the current phase of my life, which I call my communicating phase where I pass ideas to my subconscious and let it find the words to communicate the ideas. I found out during my study on the Internet, about research by a Swedish person who stutters called Per Alm. Based on his research he hypothesized that there was a medial and lateral path, involved in speech. I experimented myself with my interpretation of what he talked about and observed that when I used my medial path, I was stuttering, however if I used my lateral path where external influences were involved, I rarely stuttered. Examples of this are when I sang / when I was speaking in unison with other people / when I was acting and speaking as if I was someone else / when I was alone, or with a pet or a very young child. I bought a book by William D Parry which talked about the Valsalva manoeuvre. This led to me to retrain my breathing so that I breathed more from my belly rather than from my shoulders. Many people talk about negative versus positive thoughts. They suggest that positive thoughts are the way ahead, so discard negative thoughts. To my mind this is like playing a game where there are two players one white and one black. And when you play this game you assume that white is right and white must win. However, if you play this game you will lose. Many aspects of life consist of a duality. There is no ‘white’ without ‘black’, there is no ‘good’ without ‘bad’, there is no ‘up’ without ‘down’. ‘Positive’ and ‘negative’ are just another duality, where you can’t have one without the other. If we keep this in mind and if we prefer to focus on positive things which produce happy results, we need to have a mechanism to handle the negative thoughts which will automatically occur. Because I am constantly witnessing everything about me most of the time, I am able to welcome negative thoughts relating to stuttering as old friends. Examining them in the first few seconds to see if there is anything I can learn as to why they have occurred and if there is anything I should do about them. Then I wish them goodbye and switch to a positive thought about improving my communication skills. I also know that when I feel sad or when I feel worried it is because of some negative event which has happened or will happen. So I ask myself, can I learn a lesson, does it serve any purpose and is it resourceful to continue feeling sad or worried for any time period? Usually the answer is no, so I leave it behind, because, as Napoleon Hill said I have the ability to choose my thoughts. I like to choose thoughts which make me feel happy and relaxed. Like many people who stutter I think about the way I speak and I witness the majority of my speaking moments. Because I learned how our conscious mind links to our unconscious mind, I rarely think about stuttering. Instead, I think about communicating better. I make positive goals towards better communication, rather than negative goals to get away from stuttering. So I now consciously strive for better communication day by day. When David Shapiro talked about witnessing, he was asking his clients to count the number of times they said a particularly difficult word or phrase without stuttering. He was doing two things. He was getting his clients to focus upon the positive and what worked and at the same time he was asking his clients to witness how they spoke. Once you start to witness like this, you can extend this and witness your good communication moments, building up good memories to use in affirmations and visualisations. You can witness your actions, you can witness your behaviour, you can witness anything you say or do or think. Once you start doing this you are truly onto a path which is a spiral upwards. When you see yourself thinking about stuttering, you can change it to thinking about communicating better. You can use memories of better communication when you used your tools described earlier. Your subconscious mind sees these memories, and says “Yes I can make that happen, again and again”. There is a saying “If you think you can do a thing or think you can’t do a thing, you’re right”. You know you can do whatever you want to do and increasingly you say “I can” and constantly ask “How can I?”. This question is the most powerful question you can ever ask yourself. The question in your conscious mind assumes you can and it tells your subconscious mind to find the answers. You are assuming you can and you want to know how. This is very positive. Always think “I can” and constantly ask if needed, “How can I?”. I had a similar blinkered view of my speech whilst I was covert. I didn’t realise there was any problem. If you don’t mind me asking: What prompted you to open your eyes and see what was going in? Thanks for taking time to read this. I like to read of experiences so that I widen my own choices and options. It is good to learn from others to limit the ‘re-inventing of the wheel’. In 2005 I had a particularly painful speaking day when I was out visiting. I spoke a lot and blocked on almost every other word. My words were being translated to Chinese. Driving home in the evening I was exhausted and my mouth was so sore. I asked myself what lessons can I learn, what can I do? Long story short, several Chinese children were emailing me to assist in their English. They liked this and near Christmas asked me if they could come and visit me for a holiday. I had not disclosed I spoke with a stammer. In January 2006 I looked on the Internet to see what I could do about my speech. Some of 2006 onwards is included in the above article. Thanks for replying Kieth. Perhaps the straw that broke the camels back? Looking back, are you pleased you had the particularly painful day speaking? My apologies. I missed your follow up questions. Straw that broke the camel’s back? Quite possibly. One of the issues the majority of people face in many aspects of life is that we can intellectually know we must do something / make a change / improve…… but until we get a strong motivation to take action, we rarely do. Until we change our mental thinking (as outlined above) we usually find a way to self sabotage our good intellectual thinking. The sabotage comes from our subconscious minds, or part of the subconscious which some call our EGO. Our ego prefers prefers the status quo. It resists change. Witnessing allows us to reshape our ego to work consciously for our good as against running unconsciously on auto pilot being on the lookout for change to save us from possible danger of the unknown. Am I pleased I had that day in 2005? Yes without doubt. Even with my pre 2006 mentality I had this event in my life on this one day. I wanted to turn it around so that it was a resourceful day which was of value. That was the spark which provided the strong motivation months later (Jan 2006) to learn to reshape my EGO to change from living on auto pilot based on beliefs I picked up from other people to living a conscious life based on my own resourceful beliefs which help me to meet my own goals. These goals had been based on what others told me I might achieve. Now they are based on what I want. Examples are, as against talking in a very soft voice only if I had to, I now enjoy and want to talk normally, talk to an audience small or big, talk on a stage, do…. anything. Aha – yes, that much neglected piece of jigsaw – communication! Thanks for reading my long article. The work you do in India for TISA is tremendous. I am with you in spirit even if I live a long way away. Communication is an important but very natural path in the lives of all humanity. But with PWS, whilst we avoid speaking or are being covert, we do not practice full communication every time we open our mouths in the same way as non-PWS practice communication. I spent the majority of the first 68 years of life concentration on the words I stammered out. I found your message about thinking positive and visualizing good communication profound and helpful not only to people who stutter but to anyone who is trying to achieve goals in life. Thank you for putting into perspective how much of our communication is non-verbal as compared to what is spoken. You mentioned in your previous post that you have a “superb life now,” what aspects of your life has changed since your new mind-set? Thank you so much to spending time reading my article. To an extent, reading is a little like listening. A part of good communication which is not mentioned much is that to be a good communicator, you must be a good listener (or as in your case a good reader). Thanks. Since my new mind-set so much has changed. My technical meditation has enabled me to leave unresourceful feelings and emotions behind. Sure, I have them, but I see them immediately, see if I can learn lessons and then move on. I suppose the differences are that I will strive to meet towards goals, but I know that whatever happens is OK. So success is good, but if there is no success, that is also good as I can learn lessons. Every failure in life is a lesson to learn and turn into a success. Similarly every complaint can be looked on as a hurdle to overcome. I choose what interpretations I put on every event in my life. I choose to live a happy life, so that helps me to look on every event as a forward step. Thank you for your response, I understood the intent of your original message,i.e. that you choose to focus on the positive and learning from your experiences. I was trying to find out the practical applications to your life caused by your new mindset, such as better relationships with family and friends, more likely to participate in new projects, and things of that nature. Perhaps, however, you may not have struggled in the past with any of these types of issues. I am sorry for not stating my question more clearly. Communication is difficult, especially via responses that do not include the non-verbals. I really enjoyed reading your article and learning from your experience. Thank you so much! Practical applications of what I have done. This is a difficult question. When my wife died in 2001 all my relationships changed. They continue to evolve. Nothing is ever static or fixed like a stone. I am more aware now. When I focus on something I want, if it is only dependent on me, I will get it. I note and remember things which will help me to reach my goals. My ego works with me rather than looking out for hidden dangers and sabotaging any changes I want to make in my life. I will now undertake any new project I want to complete. If it is so new that I have no experience in it I will ask “How can I….”. then I will start on the first step to completing that project. There will be periodic reviews to see I am advancing. If not I try other paths, until I am on a path that will help me to achieve the results of that project. I am struggling to find a better answer. Hi Keith — great article! I was struck by the connection between your comment, “I am able to welcome negative thoughts relating to stuttering as old friends. Examining them in the first few seconds to see if there is anything I can learn as to why they have occurred and if there is anything I should do about them. Then I wish them goodbye and switch to a positive thought about improving my communication skills.” and that of Hudock/O’Connor in Reducing Negative Emotions and Anxiety… in this conference where they talk about “training PWS to not avoid or judge the anxiety they feel and rather allow themselves be present and mindful of the effect anxiety has on them.” These seem to be similar ideas…do you agree? Very important concepts and probably easier said than done. Do you have suggestions for how to minimize the negative thinking from evolving in children who stutter? Thanks. Good to chat with you again this year. Your comments / questions and comparing different papers shows how much research you do to seek the answers you need. Thanks for including me in the process. Your comparison of a passage of mine and one from Dan and Nora is a very interesting question. I reached my ability to observe and react as I do from ‘witnessing’ all I think, feel, interpret events and do. This covers everything my ‘ego’ sends to my conscious mind. I think (but Dan and Nora please correct me if I am wrong) that what they are discussing comes from mindfulness. If so, ‘Being mindful we calmly observe what we are thinking and doing and what is going on around us’ (Silverman 2012). I watch / try to learn lessons / move on. Mindfulness just observes. (Whether we watch or observe, if we see something which is unresourceful, it stops and goes away). Having said that both methods probably achieve the same results over a period of time. ‘Easier said than done’ —— maybe not. Over the next week, count the number of times you say the word ‘NOT’. Write the number down every day. At the end of the week, make a total count. By doing this you are witnessing the words you speak. Witnessing your thoughts, feelings, interpretations and actions, then your negative thoughts, feelings, interpretations and actions are the next steps in the process. You ask about minimizing the negative thinking from evolving in children who stutter. Here I need to make a disclosure. As a parent I did not know what I know now and I was guilty of bringing negativity into the lives of my own son, who started to stutter (but by the actions of my wife and I he left it behind) and also my daughter. While they were young and their minds were sponges soaking up knowledge / standards / beliefs / values etc. I was constantly saying No, don’t….. / Stop doing that … / That behaviour is bad … / You get the idea? I introduced negativity to their minds. After a time they assumed it was part of life. They begin their own negativity. This being general negativity, nothing to do with stuttering. I helped them to choose what negative meanings to place on specific events in their lives. I did not know any better. If I had known what I know now, I would have re-framed all my negativity and unresourcefulness into positive suggestions to indirectly turn them away from the actions / play I did not like in a resourceful manner. I think I helped them to the path of thinking about what they do not want, rather than the path of thinking what they do want. As adults, we can easily think about what we do want, because we all achieve some successes in life. This happened because we focused on what we wanted. But we do sabotage parts of our lives by automatically thinking about what we do not want. My two children are grown up, have happy lives and have children of their own. I hope I can help my grandchildren in a more resourceful way. Hindsight is often something we should look at to learn lessons. Could you clarify for me the aspects of witnessing and being mindful that are different. They are sounding so similar to me — am I missing something? As a recent empty-nester, I am sometimes overwhelmed with hindsight and thoughts of how I wish I could turn back the hands of time and do some things differently. I often have to just stop myself and think of all the great things my kids are doing and the amazing young adults they’ve come to be and how fortunate we’ve been to not have to go through some of the traumas that other parents have experienced with their kids. You’re right, we did something right!! I’m a bit jealous of you having those grandchildren. I got a late start on the kid gig. I do have one son who got married this past summer, so who knows? Your comments as always make a lot of sense. Thank you for your kindness. You are very welcome to use anything I have written. I just signed up to follow your Blog. If I can help in anyway, email me. It is good to be pushed for a clearer answer on the differences of witnessing and mindfulness. On reflection I doubt if there is much difference. You either witness with curiosity, or you are aware of this moment in time. In both cases you are non judgmental. What I mixed up in my previous answer was that I add an extra step. I have learned about the many dualities in life. In this instance the Positive and Negative. They are dualities, because you cannot have one without the other. I have learned that I can choose positivity in my thoughts / feelings / interpretation of events and actions. But because of the duality mentioned, at times negativity always occurs. By witnessing (I suppose also by being mindful) I see almost immediately whether positive or negative is occurring. When this happens, as well as witnessing with curiosity, I look in detail to see if I can learn lessons. It may be an old ‘friend’ that has occurred before, so I welcome it as an old ‘friend’ and wonder with curiosity why it is back again. Is there something in my subconscious which I did not resolve? So I try to learn lessons and wave it goodbye. All of this usually takes seconds. Some, where unresolved issues are involved, could take minutes. But the outcome is the same. Bye bye, nice to have met you, I must move onto better things. As parents, we do the best we can with the knowledge we have. So it is superb that you are reaching parents with small children where the children are at the beginning of their lives and still sponge like. These kind of messages will help the parents with their lives as well. Where are you based? I am visiting my granddaughters in Illinois in just over a month. If you are anywhere near, we could meet to chat. What a lovely essay! Thank you for sharing your experiences and amazing insight. I really enjoyed how your essay put me in the mind of a PWS. The Mcdonalds story was a perfect example of all the thoughts going through a PWS’s head with something as simple as going out to eat. All the things that someone who has never struggled with a communication disorder doesn’t have to think about. I also thought the concept of the 93% and 7% was fascinating. There are so many different ways we communicate, only a part are the words we speak. The advice you give is so positive and true for everyone, not just someone who stutters. “Welcome negative thoughts, examining them to see what you can learn, and then pass on to an equal and opposite positive thought”, this is great advice no matter who you are in life. I am studying to be a Speech Language Pathologist in the US (Currently enrolled in a class with Dr. David Shapiro), and I wanted to know what is your advice to young people especially? It says in your bio you work youngsters who have broken the law, how do you work with them and help them find more positive outlets for their communication frustration? I also really like the paragraph about witnessing (and of course the advice from my professor), do you do any kind of meditation or other types of visualizing that help you stay so positive and focused on the good? Thank you so much for reading and understanding about part of my journey in life. It is excellent you are studying with David. I am working with him and the new IFA president elect on the next African Congress. It is a pleasure to work with him and see his insights to many things. Absorb as much as you can. You said “The advice you give is so positive and true for everyone, not just someone who stutters.” Absolutely. This advice is useful to all your future clients, even those who do not stutter / clutter, as well as family and friends and people who do not have a stutter. When you can teach yourself to witness all aspects of your life and slowly concentrate on the positive, you set an example for others……. who will see the change in you and ask how and then ask you to teach them. To over simplify let us assume there are three types of children. 1. Preschool age. My personal non professional view is that it is best to let nature take it’s course. Preschool children are a sponge and absorb and copy. Help the parents to be good speaking role models (speak a little more slowly in phrases; having pauses to breathe. Give the child attention and all the time needed. Read bedtime stories like this). The child will copy, and, if like my son, will leave stuttering behind. 2. School children. Here education is needed for both the Parents and school. Slight amendments to classroom management will help the child in school; a few tools from an SLP, but a lot of concentration on communication and not just the words. More SLPs are thinking along the lines of helping with what is going on in the child’s mind as well as thinking ideas not words. This is very good. 3. Children who for whatever reasons skipped school and / or left school early. These are the children who can end up in the court systems. A high percentage of them do not understand many simple legal terms like guilty / innocent etc. Their language is like the Klingon language hard to understand and they have difficulty reaching us. (Explore ‘The BOX’ on the website of the Royal College of Speech and Language Therapists (RCSLT) http://www.rcslt.org/. Enter The Box in the search engine.). First we have to learn to understand them, then gain their trust, then begin to help them witness and over time change. They need help from the moment of arrest until they leave their detention premises. The above is greatly simplified. You ask ” do you do any kind of meditation or other types of visualizing that help you stay so positive and focused on the good?”. Yes, I do ‘technical meditation’ every night. I started in 2007. I mentioned this in the essay. (footnotes 6 and 7). I purchased Holosync from Bill Harris. I hear different sounds in each ear from stereo headphones. These sounds take my brain from Beta to Alpha to Theta and then Delta brainwaves. You can google what goes on at each level. Basically at Delta I am increasing the links (neural pathways) between the left and right sides of the brain. So that I use more of the whole brain when seeking answers to HOW CAN I….. This and knowledge about how our brain works made witnessing very easy to carry out with results already discussed. Does this answer your questions? Come back if you have more. You answered all my questions throughly! Thank you again for such an insightful and well thought-out response!! I am also really liked what you had to say about preschool children. This is an age group I’m very interested in working with and I think your approach (while I understand is your opinion) is a sensical one. I also think what you said about children who drop out/leave school is very important. You said “First we have to learn to understand them, then gain their trust, then begin to help them witness and over time change.” Understanding is the foundation for any good relationship, whether that be personal or professional. To gain their trust you must understand them, not judge them. One more question, this technical mediation, do you recommend it to other teens who are struggling with communication disorders? Is it something you would recommend as a primary form of treatment or as one aspect of treatment? The technical meditation sounds very interesting, and I will continue to do more research on this approach. I’m glad it has worked out for you so well! Great article about the importance of what we tell ourselves. The interior dialogue that is the focus of several kinds of counselling methods. I have to disagree with your recommendation that the best approach with preschool children is to “let nature take its course”. The research says and the clinical experience of hundreds of clinicians is that pre-schoolers who stutter for more than a few months should be seen by and monitored by a trained professional AND have access to the Lidcombe program if specific warning signs (discussed by Yairi and others) are present. The wait-and-see approach too often means waiting until the optimal period for therapy has passed. EARLY intervention is the key to erasing the stuttering. Love the Accentuate the Positive song. It was written in 1944 by Johnny Mercer, not by Sam Cooke. Thanks for reading my article, and the comments. My phrase ‘let nature take its course’. has misled you. I apologise for using it. I agree 100% that action is needed. My personal thoughts are that the best action is from the parents so that the child follows natures way and copies the way the parents speak. That is what I meant in 1. above. Sorry if I have confused you. I personally do not think that intervention is necessary, until a child becomes bothered / concerned. (Sure, an SLP/SLT has a role to play in educating the parents where possible. However, that is all, if the parents can do what is needed). If the parent is a good speaking role model, as explained in 1. above, the child will copy this and leave stuttering behind. This happened with my own son. He started to stutter while learning to speak, but like all other children learning to speak he copied his parents. I agree that wait and see, as was offered by many professionals for many years was / is the wrong approach. I firmly believe that it is best to Keep It Simple. Help the parents to be good speaking role models. Your journey was fascinating to read about. The techniques in your article were universal and useful for everyone. Was the research you did all self-driven? Did you consult any professionals for their opinions or guidance? I am pleased you found time to read what I said. Thank you. For so many years a majority of professionals have concentrated on the words we speak. The success rate for this path seems a little low. One definition of madness is to expect different results doing the same things. So I changed my paradigm. I concentrated on communication and how my brain worked, so that I could improve both (2006 onwards). For me, this has proved a resounding success. Yes, my research was self driven as my way to help me to communicate better every day….. A good towards goal which will usually be successful every day. I talked it over with a local SLT who was helping me to start a local self help group, but this was after I had embarked on the journey. However, I also learned in recent months, after I was well on my journey, that there are an increasing number of SLPs/SLTs involved with Mindfulness / ACT / CBT / REBT / etc. all of which work on aspects of our mental attitude. Also there are those who concentrate of the positive experiences of clients and those who want the clients to ‘Chunk up’ and think in ideas, not words. So professionals are also working on techniques to improve how our brains react and interpret events and witness. I was lucky. I chose two paths which more and more professionals are exploring with their own tales of success. Simple question. Why focus on stuttering (which you may want to leave behind, if you have not accepted your existing stuttering) when you can focus on better communication (which you want to work towards)? Your insight about the mind and stuttering has really made me think. What you have said makes perfect sense. I just have not ever thought about it in that way. This concept goes beyond stuttering also. When we think about something bad happening, it usually consumes our life until the event happens. I can see how always think about the next time you will stutter can influence your life.\I am a Graduate Student in Communication Sciences and Disorders at Western Carolina University where I have learned many things from Dr. David Shapiro. One thing he has always taught us is that in order for a client to become more fluent, they have to experience fluency success. PWS are fluent more than they are non-fluent. You made an excellent point when you said Dr. Shapiro would have his clients count the number of times that they said a word or phrase fluently. That helps them to focus on their fluency rather than their disfluency. This helps develop a whole new personal construct in which they realize they can be fluent. I love what you have said about switching from negative thoughts to positive thoughts, from the stuttering phase to the communicating phase, and from thinking “I can’t” to “I can.” Everything you have mentioned can apply to other parts of life as well. Like you have said, only 7% of communication are the words we speak. Do you have any advice on helping clients realize that only 7% of communication are the words that we speak, and switching from negative to positive thoughts and feelings about their stuttering? Hello Crystal,You are very generous in your comments. Thank you for spending the time to read what I said and then commenting in such a thoughtful way. Yes, you are right. Much of what I said should be used in all aspects of life, not just stuttering. David has his clients count verbal successes. Doing this makes the client aware of his / her speech. When this becomes easy to do, this is very close to watching with curiosity. (No analysis / judgements / recriminations / etc. Just curiosity.) This can then be extended to emotions / thoughts / actions etc. Doing this makes us more conscious (In the now of mindfulness). Another truth. We cannot consciously continue on any unresourceful path. So if we see something happening with curiosity, if it is unresourceful it will stop. Switching from negative to positive thoughts and feelings. Here again. Ask them to think something sad and then speak about it. Stop them. Get them to move as far away as possible, stand and think about the happiest holiday / experience they had and speak about it. Both times watching with curiosity. Then get them to compare both and ask them which they preferred. This may help them along the lines of choosing happy / positive over sad / negative. You will come up with a lot of variations on the theme. Thank you so much for sharing your insight on the impact of positive and negative thoughts on fluent speech. I’m currently a graduate student at Western Carolina University and my fluency professor is Dr. Shapiro. Your article reminded me of the different corollaries that we’ve discussed in class. These corollaries affect the choices we presently make and the choices we will make in the future. For example, with your MacDonald’s anecdote, perhaps a previous negative experience when ordering at MacDonald’s would cause an innate fear due to anticipation of this sort of experience happening again. This innate fear may push forward the negative or bullying thoughts that increase disfluency. You had some fantastic advice for PWS on how to facilitate positive and empowering thoughts. As a clinician, I hope to be able to decrease the fears and negative thoughts the client has around situations where he might be disfluent. Do you have any advice on how to help with extinguishing fears and negative thoughts to establish feelings of empowerment in PWS? Thank you again for you thoughts. Thanks for reading and commenting. It is good to explore issues like this. New clients who have had no previous therapy, and sometimes even with previous therapy, may well have a lot of negativity (Shame/fear/anxiety isolation/ etc.) With this negativity comes a lot of baggage…. memories of painful moments / minutes / hours / days / weeks……. This baggage needs to be shifted if the client is to be helped. My advice, as a PWS, would be to build on David’s concentration on fluent experiences in the time since the last therapy session. Get the client to count / watch with curiosity. This begins the shift from remembering all the negative things to thinking about the good speaking moments. A clinician then helps the client to remember these. This slowly begins to remove the negative memories. This counting speaking moments and watching with curiosity can be amended to counting the communicating ideas / messages well (irrespective of any disfluencies). This starts the process of thinking about communication (see previous reply to Crystal). As more good memories are built up and affirmed, the process of more empowerment starts. Remind clients that when meeting people for the first time, before anyone speaks, opinions are being formed. So good body language (55% of communication) will help your clients tremendously. That answers my question completely. Thank you for responding! Great piece. As I read, I couldn’t help but think of Rumi’s “The Guest House” where he talks about inviting all emotions in, and then wishing them well on their way out. It seems like that’s what you’re talking about when you emphasize choosing positive thoughts and communication over getting mired in negative thinking. It was in 2006 that I too, had my “aha” moment and decided I couldn’t live a life in hiding any more, and did the same as you – internet research to find support. It was then that I found the NSA and Toastmasters and jumped in and decided to start communicating instead of avoiding. Thanks so much for writing this and sharing. Do you ever get those moments when the old shame creeps back in and threatens to take over? How do you handle that? We all have negative and positive thoughts. Based on our total journey to this moment in time. We choose how to react to these thoughts. If we are living ‘unconsciously’ on auto pilot, our reaction ‘scripts’ will just slot in. These scripts will have been formed on auto pilot. They may or may not help us to get to our planned destination. If we are living ‘consciously’ by constantly watching with curiosity, the new scripts which slot in will be resourceful scripts. We will learn what we can and switch to thoughts which help us towards our destination. As I am watching with curiosity nothing negative has taken over for a year or two. We cannot watch ourselves with curiosity doing / thinking unhelpful things. They may appear, but I watch and learn and move on. I do not have to do anything other than watch. In the recent past I have established that all my beliefs / ideals / standards are mine and are required. I began technical meditation in 2007. Watching, like breathing is now done by my subconscious mind. I am not sure if this answers you, but do comeback if you want more info. I absolutely loved your post and I have saved it for future use when I begin my career as an SLP. I love your idea of “avoiding avoidance”. What do you think the best course of action would be for teaching a younger PWS that concept? Thanks for this difficult question. Avoiding avoidance (another meaning to AA LoL) is good for 98% of people on the planet. The majority of us have anxieties about something which we want to avoid. Our basic instinct fight / flight triggers this. So the question to ask young adults is do you want to avoid the rest of your life and have negativity build up and up? (Each new avoidance creates a new negative stored memory). Using mindfulness / ACT / CBT / watching with curiosity help them to answer the question with a big NO. You can describe me living to beyond retirement with avoidance uppermost in my mind. I restricted my own ambitions. I lived a restricted life (But amazingly happy life… keep this a secret. Do not tell them). With hindsight I could have achieved so much more. Great post! Thank you for the detailed description of what a person who stutters might go through when planning avoidance! As a SLP grad student, I feel it is so important to understand what a person must go through on a daily basis when they have communication difficulties! Thanks again. Thank you for this comment. It is good that you wish to learn. All of us have had different experiences which have created who we are and what we do at this moment in time. My post tried to generalise beyond my stuttering self, to other aspects of life as well. I hope my words can help SLPs/SLTs to help others in this world. Thanks for spending time visiting my article. It is long, because there is so much to talk about. I barely skimmed each topic. Thanks for your comments and questions. Yes, Therapies for any condition which just concentrate on the 7% are restrictive. Spend a few moments just looking at people. See how much their body language says, even when their mouths are closed. Think also of the entertainment given to millions in the era of the silent films! Look at the body language of clients. Does it match the words they speak? Witnessing is similar to the concepts taught in Mindfulness / ACT / CBT / etc, which are often used by SLTs /SLPs who look beyond the words from our mouths. All help clients to examine their thoughts / feelings / emotions etc. These ‘tools’ are good tools to have in your professional toolbox. I learned witnessing with curiosity. No analysis / judgement / disapproval or recrimination. The advice on this is remember the Titanic and the Iceberg. The ship was modern and strong. The Iceberg was big, most was hidden but hard. The Iceberg ‘won’. The majority of people, including the whole range of your clients have an iceberg of hidden (some not so hidden) negativity. Anxieties / stress / fear / shame etc. Past education of SLPs / SLTs included no training for these mental issues. But this negative baggage contains loads of negative memories. Whenever we think of what we do not want past memories surface and help that to happen. Currently many SLPs / SLTs do help clients (all, or just PWS???) to address this negativity. Until the negative memories of speaking can be replaced with good communication memories the chances of helping the client’s communication in the real world are not too high. When I had the significant ‘kick in the rear’ to make a change, the resource I used was the Internet and learning about stammering / stuttering. My first three steps were 1. Avoid avoidance. 2. Ringing up all living relatives to talk about my stammer and that I wanted to change. 3. Go and buy a webcam and microphone so that I could talk to others with a stutter. If I had no Internet access, knowing what I know now, I would seek out an SLT (UK) who taught fluency techniques and who had good knowledge of and used Mindfulness / ACT / CBT / RBET / etc. Thank you for sharing! I am not a person who stutters, however, this article included extremely helpful advice for anyone who struggles with negative, worrisome thoughts. I am a graduate student studying speech-language pathology and I was wondering what your thoughts were on therapy techniques, such as fluency shaping, that require a lot of focus on how a person who stutters can shape their speech to essentially avoid stuttering behaviors. Do you think these type of exercises have a positive or negative impact of a person who stutters’ conscious and subconscious thoughts? Thanks! It is good to exchange ideas with you. Thanks for actively taking part. …. to get back…. are that most (?the majority?) of the techniques you learn have their uses. I would regard them as a crutch, to be used extensively in the early days, and then their use should be reduced until they are no longer used. Also, remember a client will only use in public the tool(s) they are comfortable using. Why do I think this? We start therapy with negative baggage / memories. These need to be replaced with good memories. These tools, if used initially at home, then slowly in wider speaking situations, will begin to build good memories. The client will be aware they are using these tools to avoid stuttering (hence visualise what is not wanted). Not so good. So the client should be helped to think about better communication. This brings in the new memories of good communication. This will lessen the need for the tools, because focus is more on communicating ideas (irrespective of the fluency) and less on the words. So, initially, if used in public, they may well have a positive impact, starting to melt away the negative memories and replacing them with good ones, but long term I think it will be likely to have a negative impact. The name of the game for SLPs / SLTs is to listen; then help clients to start talking and communicating. Help them to, over time, reduce the focus on speaking words and increase the focus on communicating ideas. Taking charge of my thoughts; challenging self-limiting beliefs; eliminating avoidance; expanding comfort zones; and choosing to focus on becoming a more effective communicator (as opposed to trying not to stutter) have (like you) enabled me to live a more fulfilling and expansive existence. After so many years of being adversely influenced by restrictive thinking, we are both performing widely on life’s stage. Yep. You got it. Thanks for visiting and commenting. I still remember our first Internet chat in 2006, after I bought my first microphone, later to be changed to a webcam. It has been a very entertaining ride since then. I have learned so much from you and others and had so much fun during the whole process. I am tackling my walking disability now. Nordic walking. Soooooooooooooo Gooooooooood. Take care my friend, until we chat again. Your paper was very interesting and provided a perspective from an adult that I don’t think many people consider. I am a graduate student in my second year and your comments about how thinking about helping family who needed help diverted your thoughts on stuttering. How much of a role did your family have in your path from negative to positive thoughts? Is there any advice for how a person who stutters can talk to their family about the thoughts they are having? Thanks for spending your time with me and the comments. I am pleased it has given you a new perspective. I do not remember commenting on my son who needed help diverting my thoughts on stuttering. My wife and I near the end of the seventies worked out for ourselves how we might best help our son as our Therapist said leave it alone for 2 or more years. It will go away. We disagreed with the advice at that time. My wife died in 2001, and my son and daughter both left home many years ago. Long before I learned by myself why to learn from the negative and move on to focus on the positive. My advice about talking to the family members about stuttering is YES. DO IT. This starts the desensitisation process in a very natural and safe way. When talking about it just say what comes into your head at the time. Do not plan or rehearse it. By all means explain the feelings and thoughts, but be prepared for them to want to skip over your thoughts. They may be uncomfortable. But that is OK. The process is for you to talk to them to get you to be more comfortable letting your stutter ‘hang out for all to see’. That is desensitisation. Very interesting post! In my fluency class, and in many posts in this year’s convention, the importance of acceptance has been mentioned many times. I like that your post goes beyond acceptance and into a change in attitude too. The concept that struck me most was to focus on the positive communication events and strive to recreate them rather than thinking about all the negatives that have happened. I also enjoy the thought about critically thinking about negative things that occur and think about what you have learned and how you can improve. We do this for things that happen in other activities, why not do the same for communication? As an aspiring SLP, I find the idea of thinking about what you can change in order to improve would engage the client in thinking about positive therapeutic strategies rather than searching for avoidance strategies. These are interesting concepts that can be incorporated into my future as an SLP. It still requires acceptance but gives the individual power to do more than that. Very cool! It is good to hear from you. Thanks for taking the time. I enjoyed you perceptive comments. It shows you are now thinking about what I said. May I make one suggestion to help you on your way. Your choice of language may help you in your quest to help us. I tend to leave words like ‘critically’ behind. Criticism can imply fault / blame / something is wrong. From my perspective, my version of the world we live in, negative thoughts should not be criticised. Positive and negative thoughts are two sides of the same coin. They are a duality. One does not exist without the other. Negative thoughts can be ‘unhelpful’ so just welcome them as old friends; find out why they are back; learn from them and wish them goodbye. Thank you so much for this article. It gave some brilliant insight on how to better communicate! I am a graduate student studying to be an SLP. My experience with PWS is very minimal, and I have loved my stuttering class because of the knowledge it is giving me. My teacher is Dr. Daniel Hudock, and I’ve learned so much about the perspective of the stutterer and their thought process through his course. I appreciated how you described the duality of the Positive and the Negative during the process of witnessing. That you can immediately see the negative thoughts, accept them, and then push through them to find the positive; to find the “I can.” in each situation. I completely agree that this process is key to being a better communicator. Gaining the ability to choose the positive over the negative in each situation is a personal lifetime goal of mine, and one that can be constantly worked on. Thank you for reading my article and all the comments as well. That will have taken a lot of your time. I am sure you will continue to learn a lot from Dan. You have picked up my concepts well. Removing the negative issues / memories I had with speaking words helped me immensely to be a better verbal communicator of ideas which had the by product of increasing my fluency….. even though this was not my goal.